To enter an expression is sufficient to perform the calculation with the normal calculator then transforming the numbers into variables or portions of expression in computed variables. If you want to create editable variables, already during the insertion of the expression, you can touch the screen below the expression and type the name of the variable in the text field. 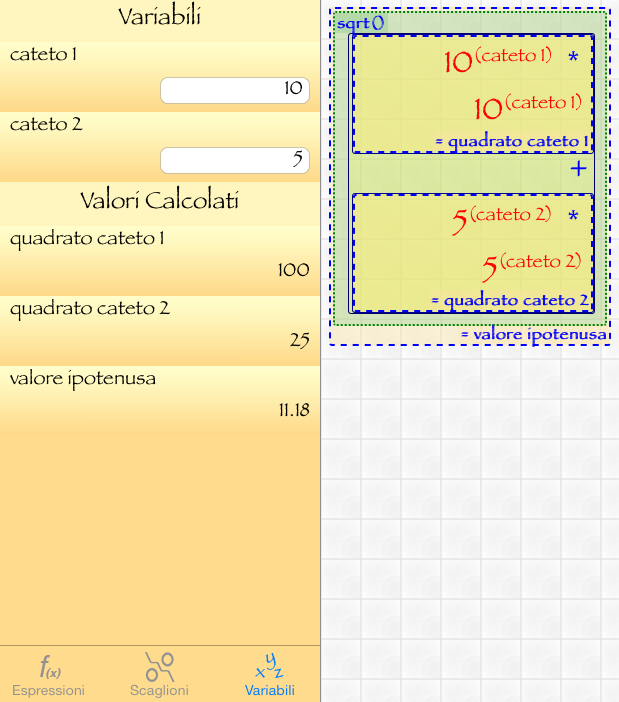 It will create a variable with the name you entered and with value = 1.
press the Close Parethesis button ')' once to close the portion of expression in which you calculated the square of 'cateto1'. 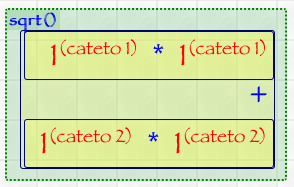 Now we open another parenthesis by pressing the corresponding button and, as for 'cateto1' repeat the sequence by changing the name of the variable with 'cateto2'. 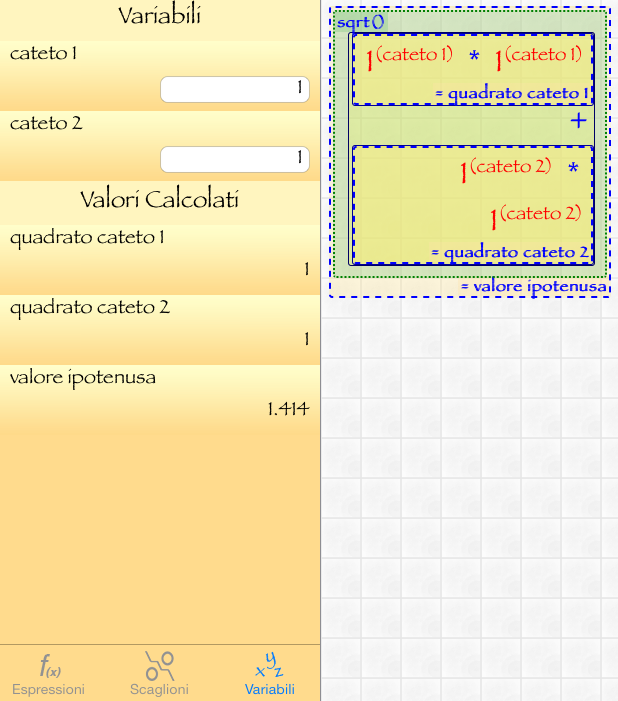 touch again the portion of the screen that lets you add a variable and choose from the list below the variable you created eralier, or type 'cateto2' in the text field. and close the parenthesis of the whole expression. 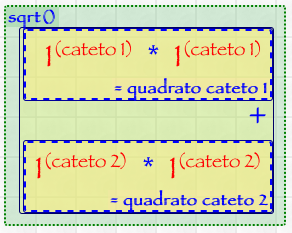 Then repeat the same operation in the parentheses (x cateto2 cateto2) indicating the variable name 'square cateto2' and get the following result. At this point, if you want to get, as calculated result, the value of the hypotenuse, you can simply tap the name of the function used to calculate the square root, or sqrt () and specify the variable name 'value hypotenuse' to get the following result.